Back and neck injuries are the most common type of work-related injury. When these conditions are not treated, the pain from repetitive motion, heavy lifting, and accidents can begin to affect your performance, and sometimes your ability to work at all. 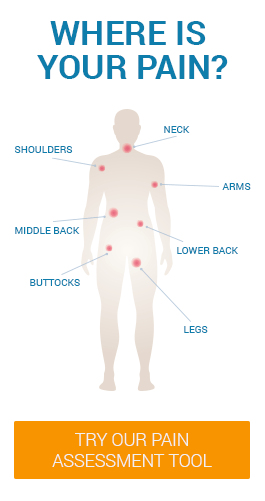 At Q Spine Institute, we’re familiar with the physical and emotional stress that work-related injuries cause. Our Spinal Work Injury Program is designed with your well being in mind: to help you get back to work as quickly as possible, with the least invasive treatment. Q Spine Institute works with the best physical therapists and alternative practitioners in the area, providing pain relief for any injuries that respond well to conservative treatment. Physical therapy, injections, and chiropractic care might alleviate your condition, without requiring that you take any time off of work. You may be a candidate for a minimally invasive spine procedure if your condition is more severe. Luckily, we are a pioneer in surgically advanced procedures that only involve a few days of recovery at home. We will discuss your treatment options after carefully considering your overall condition, and will arrange for you to get the kind of recovery treatment that you need, should your condition require surgery. To learn more about our Spinal Work Injury Program, please call us at (201) 493-0123.